Furnished with your comfort in mind and pieces in keeping with the historical period of the house. The large open fireplace is wonderful to gather around on the cool summer evenings on the coast of Maine following hiking adventures on the many trails on the property and Acadia National Park. Large country kitchen looking over the ocean. 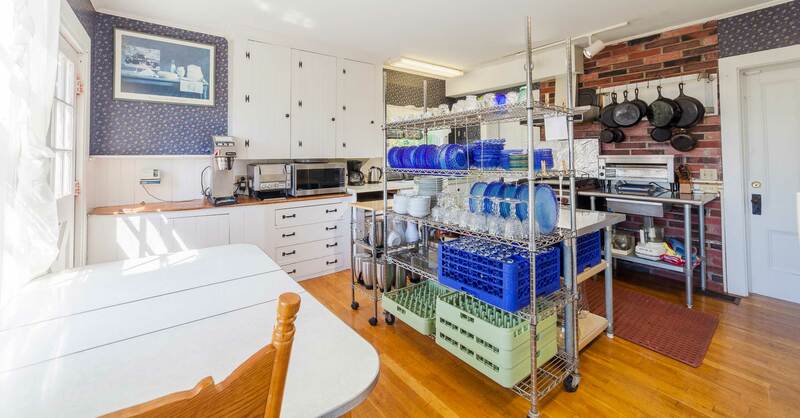 The country kitchen in the Sea Captain’s home looks over the ocean, has a full commercial gas range, microwave, toaster, coffee maker, dishwasher (with three minute sanitise cycle) and is fully equipped and designed for food preparation and serving of large parties. A great place for creative chefs, family and friends to gather, soak up the ocean views and prepare some of the wonderful produce that can be sourced from the many local organic farms on Acadia’s Schoodic Peninsula. Gracious ocean view dining room. 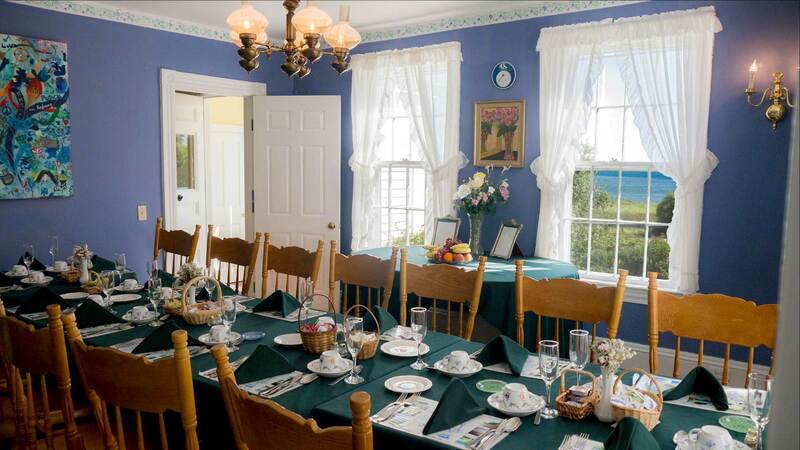 The dining room in the Sea Captain’s Home can comfortably seat large parties offering a beautiful sea view and many options for seating arrangements. Full silverware place settings are provided for elegant dining if desired. Beside our 1860’s Sea Captain’s Home is a cedar shingled hand-hewn timber frame structure that was built in the late 1700’s and is home to a collection of the classics and natural history reference books, perfect for researching the plants, birds and animals found along the shoreline and 200 acres of the properties preserve. Our historic 1860’s Sea Captain’s House offers nine bedrooms (three actually two room suites) all with their own bathrooms many with wonderful ocean views and the sound of the surf to lull you to sleep at night sleeping a maximum of 24. 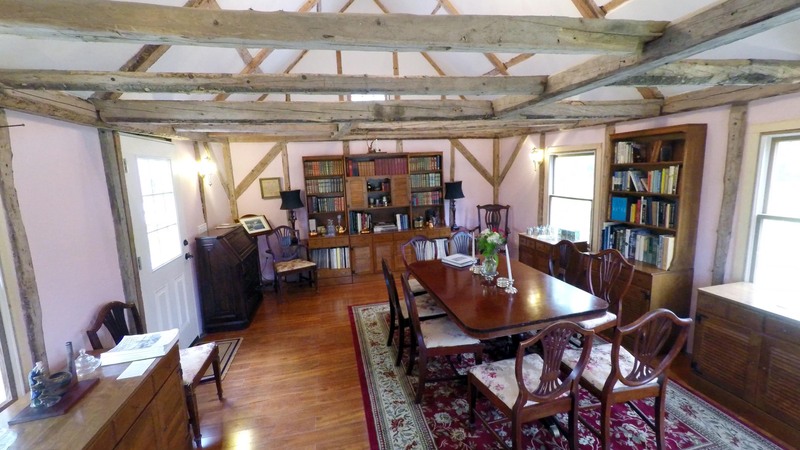 Brief listing here and room details with clickable images below.